The Texas Attorney General's Office and University of Texas at Austin administrators on Monday asked a federal judge to throw out a lawsuit by three UT-Austin professors that seeks to block implementation of the state's new campus carry law. The Texas Attorney General's Office and University of Texas at Austin on Monday asked a federal judge to throw out a lawsuit brought by three UT-Austin professors seeking to keep guns out of their classrooms despite the state's new campus carry law. In two separate court filings, lawyers for the university and the state argue that the professors' claims that the law violates their First Amendment rights are unfounded. They also argue that the federal court doesn't have jurisdiction to rule on the state law. Professors Jennifer Lynn Glass, Lisa Moore and Mia Carter have argued that the law, which went into effect Aug. 1, will stifle discussion in their classrooms. 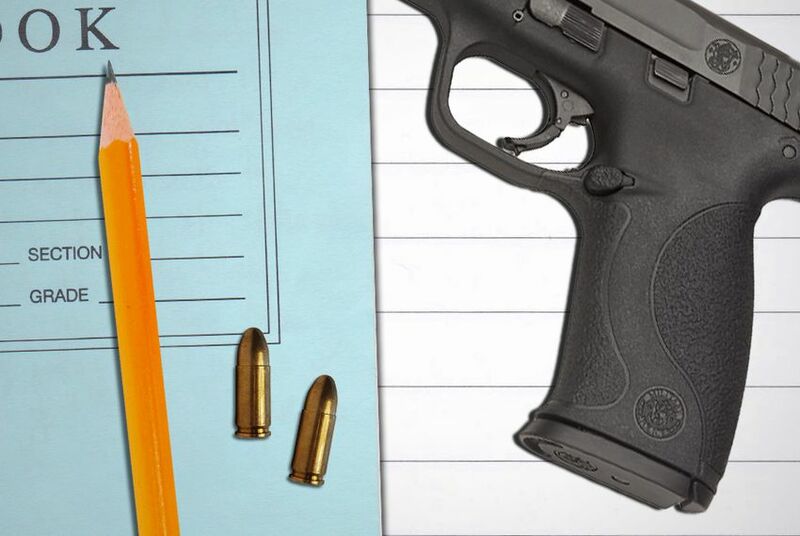 The law made it possible for people who have concealed handgun licenses to carry their weapons into classrooms and most other campus buildings. The professors say they fear that guns present during class discussions will cause people to censor themselves out of concerns for their safety. UT-Austin, however, argues that "incidental impact" on free speech does not violate the First Amendment. "Even if the ... policy had some incidental impact on Plaintiffs’ speech, that impact does not implicate any interest that the First Amendment protects," the university argues. The professors have asked U.S. District Judge Lee Yeakel to allow them to personally ban guns in their classrooms. They are also seeking a temporary injunction to prevent guns in their classrooms before fall classes start on Aug. 24. Yeakel held a hearing on the matter last week but didn't rule. He gave both sides until Monday to file additional briefings to clarify their stances. Both sides can submit rebuttals by Wednesday. A ruling on the injunction should come soon after that.